Congrats, Rina. 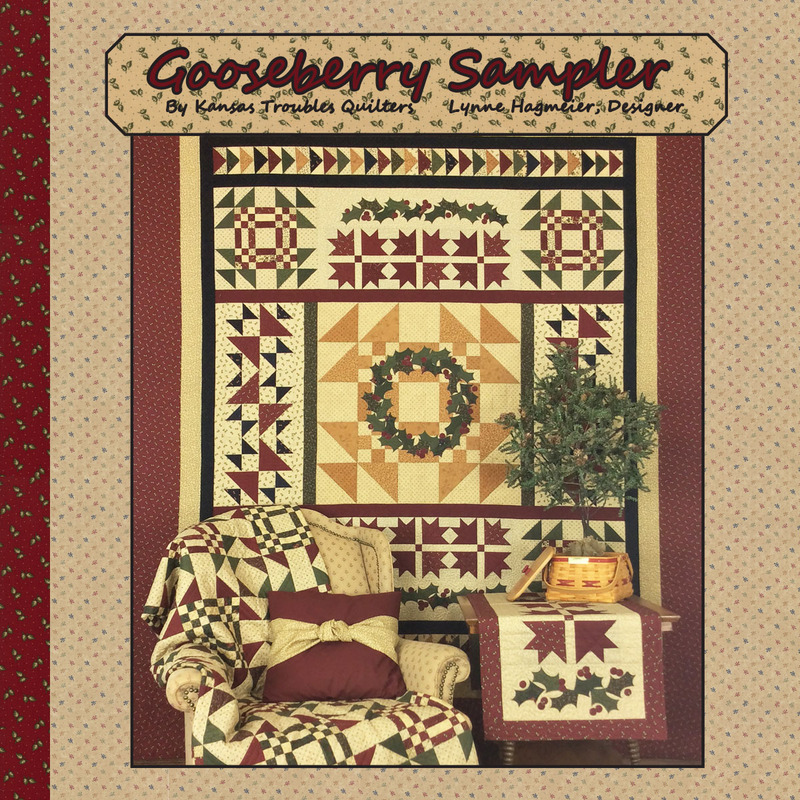 You're the winner of our Acorn Medley pattern and Oak Haven charm pack. 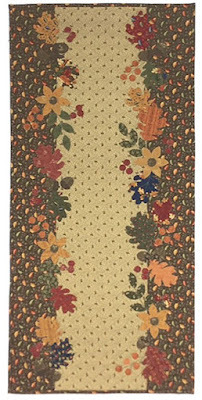 You're on your way to a beautiful fall season! 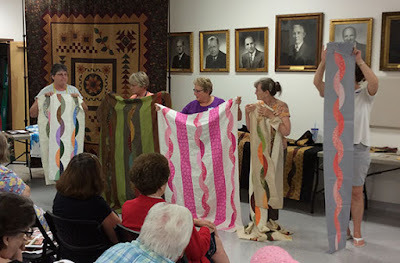 We had a wonderful day with the ladies in Jefferson City, MO last week. 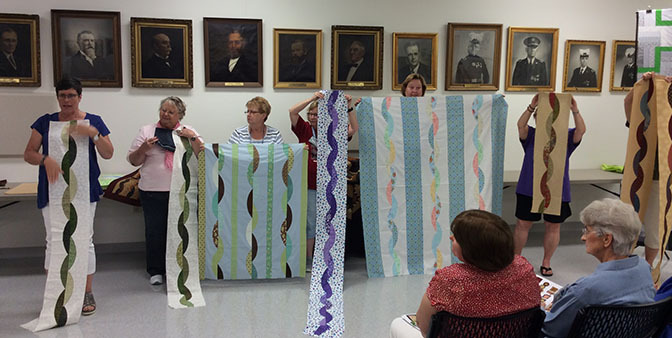 I was so impressed with the wide variety of Twisted quilts they made in just a few hours. Here's a sampling from their guild meeting that evening. Twisted Workshop - brights, darks and in between. 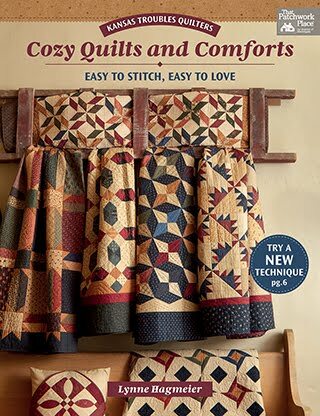 I love that several quilters chose to make the Twisted wedges all the same color, but different fabrics. The purple queen size strip is awesome! Thanks to all of you for your hospitality and kind words of encouragement. It filled my soul. 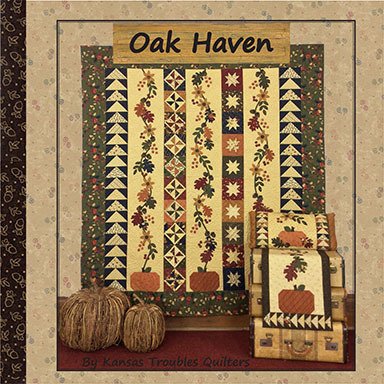 I've heard so many positive comments and excitement from quilters who've seen the Oak Haven fabric and projects. It's one of my all time favorite KT fall collections to date. 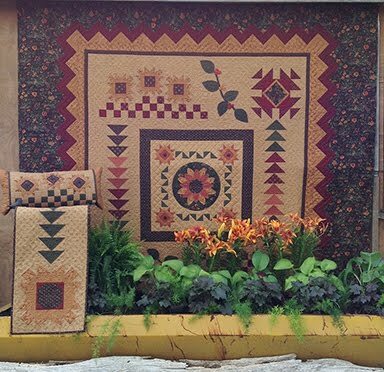 You've seen many of the projects over the past few weeks - Oak Haven lap quilt, runner & pillow sleeve, Argyle Sox lap and runner, and last week, the Acorn Medley charm pattern. 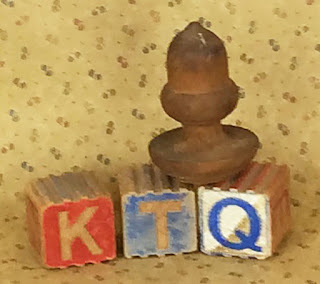 This week, I want to share our newest addition to the KT family - KT Kut-ups. Our precut fusible applique packs make our Oak Haven lap quilt so much easier to assemble. 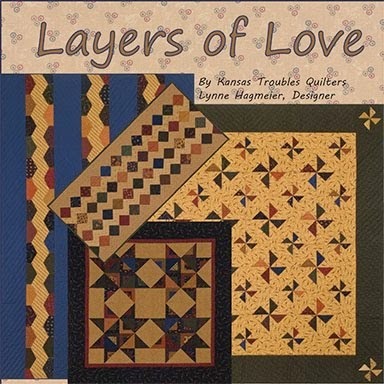 We found a local quilter's husband who has been laser cutting her appliques for years. When he asked if we were interested, I jumped at the chance. 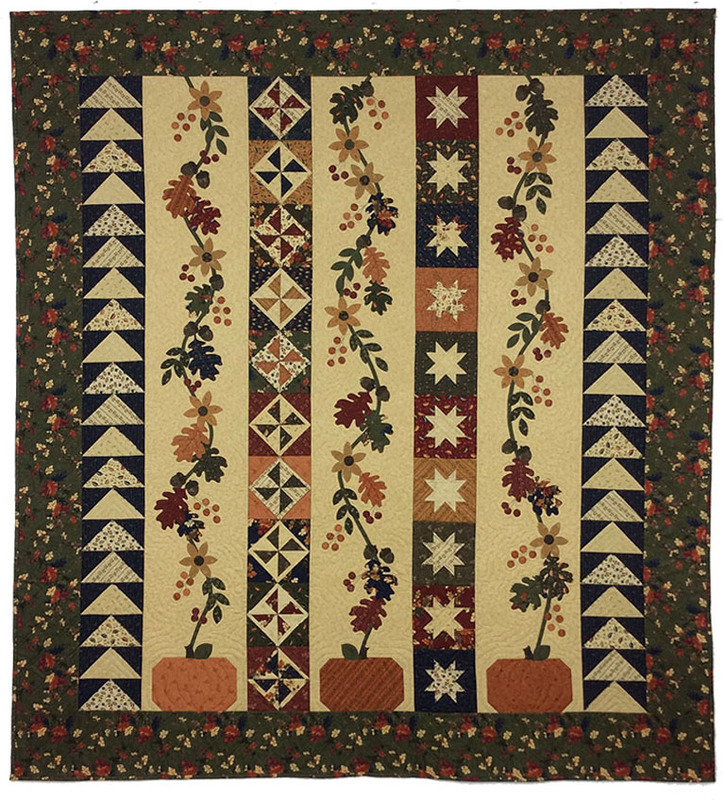 There are more than 300 individual applique pieces in the Oak Haven lap quilt. It's a fabulous time and hand/finger saver. 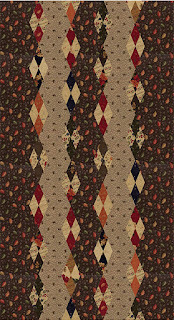 We're planning more Kut-ups for the Acorn Medley charm quilt and more. 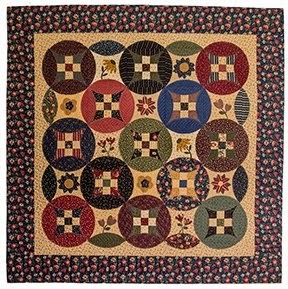 Oak Haven lap quilt Kut-ups $38.95 retail. 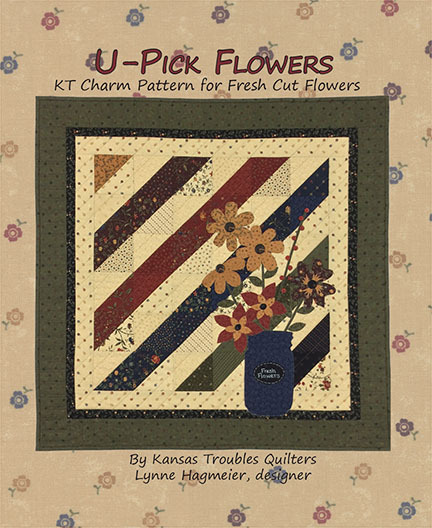 This KT Kut-ups pack has all the leaves, acorns, flowers and berries, ready to fuse to your quilt top. 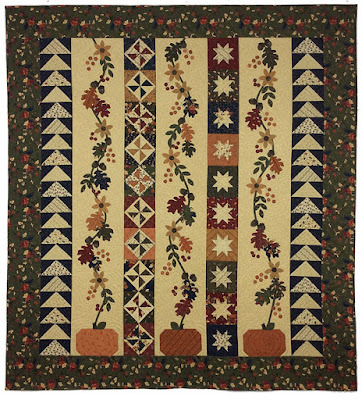 Oak Haven lap quilt 66" x 72"
One more project from the Oak Haven booklet, especially for applique lovers, is our Harvest runner. Two fabrics plus a charm pack for the appliques, is all you need to create a delightful tribute to the fall season. So simple, so easy! Even easier with our Kut-ups pack, available soon. Is it fall where you live? We finally threw open all the windows and are reveling in the cooler days and crisp nights. 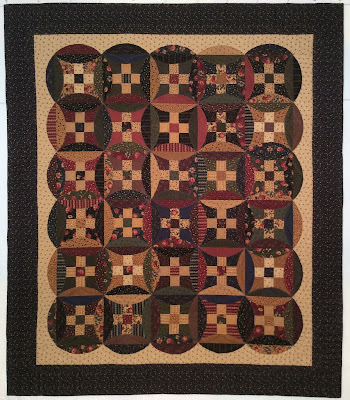 Truly quilt weather. 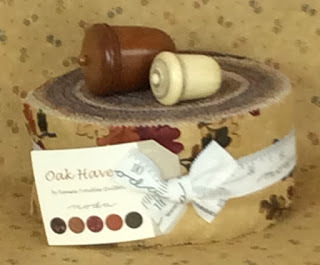 Comment to win a scrap box of Oak Haven fabric leftover from all the different projects. Stay tuned next week for the announcement of the October Special! Congrats to Sorcha Girl from Iowa. You're the winner of our KT Diamond Templates. 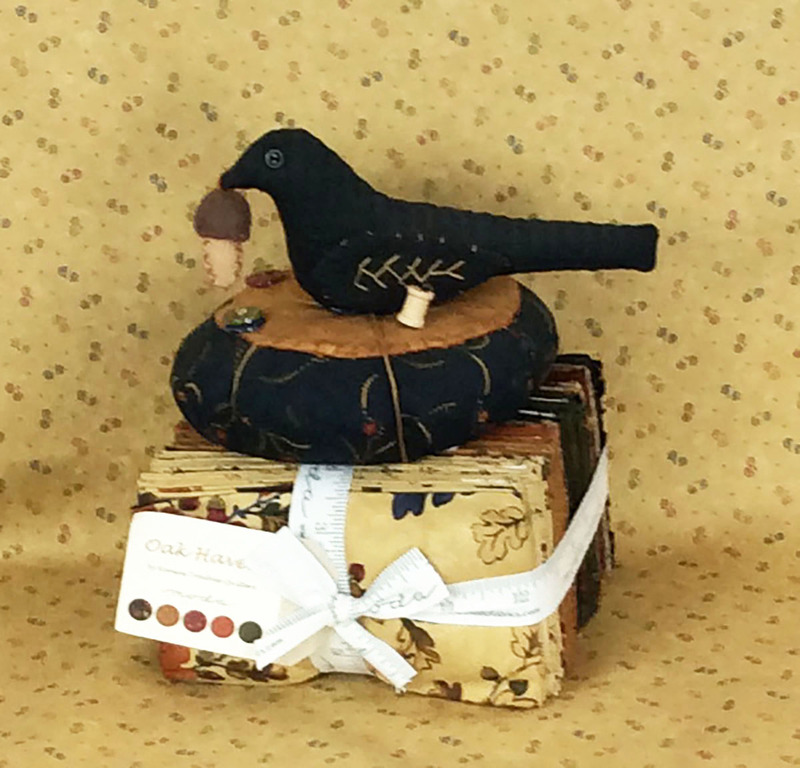 Jamie received confirmation that Oak Haven is arriving this week. Woohoo! We'll have everything on the website after Robert and I return. Our slightly sunburned smiling faces are on a plane today coming back from Huntington Beach. We enjoyed our time with the ladies at Orange Grove Quilt Guild -and a couple of lazy days at the beach. 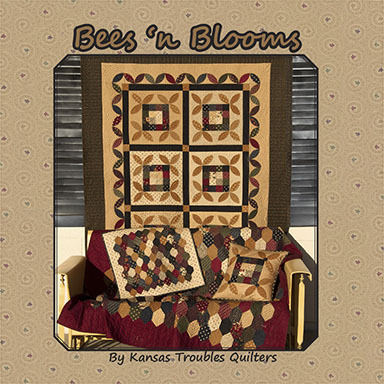 Now we're off to Jefferson City, Missouri on Tuesday to share with the Missouri River Quilt Guild. More to come next week. 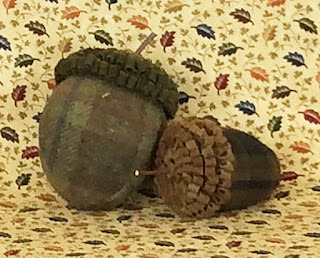 If you've followed my blog for a while, you may have noticed I'm slightly addicted to acorns - sewing notions, thimble holders, charms, book ends and finials - made of wood, fabric, wool, vegetable ivory, glass..... it really doesn't matter as long as it's an acorn. Why? 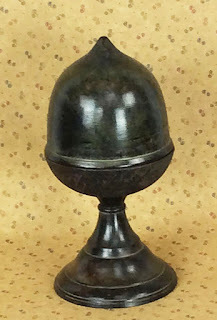 Your guess is as good as mine. I loved collecting them as a kid, making jewelry and fall "decor". Mom was gracious enough to display my prized creations - tiny wreaths and candle wraps - but explained they had to be thrown out after a couple weeks so they wouldn't draw bugs. Worked for me. I could make all new decor next year! 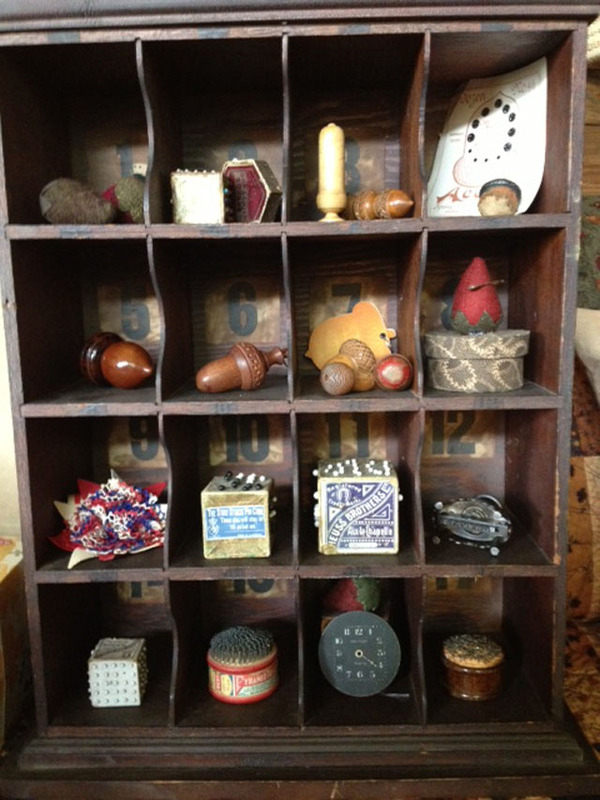 Here's a sampling of my collection. 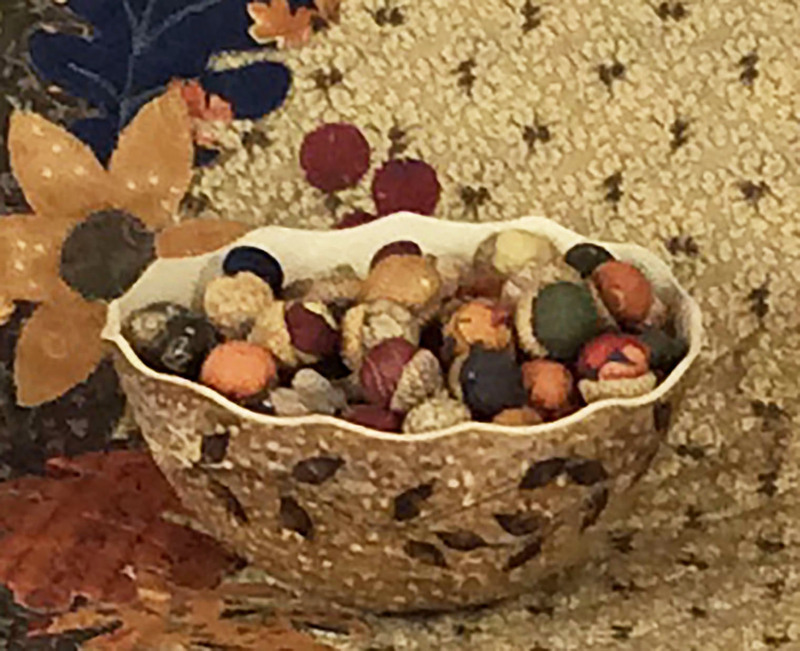 bowl of KT fabric acorns with real acorn caps - so cute! So, if you ever run across an acorn thimble holder, think of me! 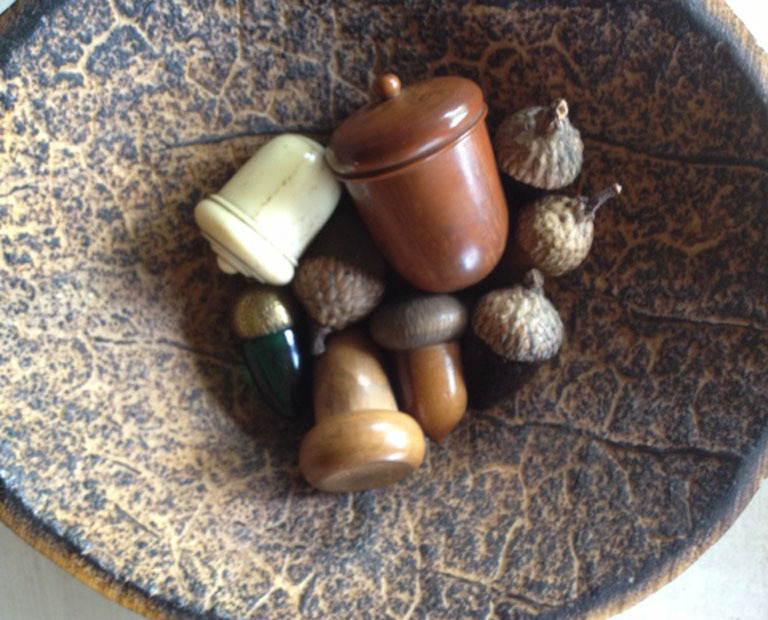 When I think fall, I think leaves and acorns. Here's my version of a bushel of fall packed into a small quilt. 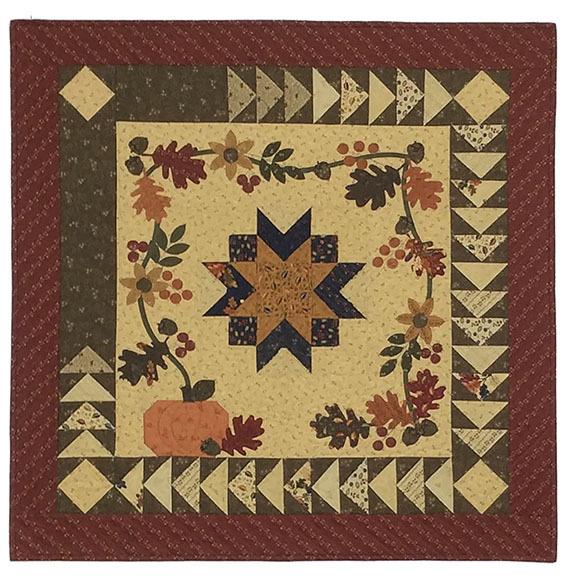 One charm pack plus 3 fabrics is all you need to make this delightful reminder of the bounty of the season. 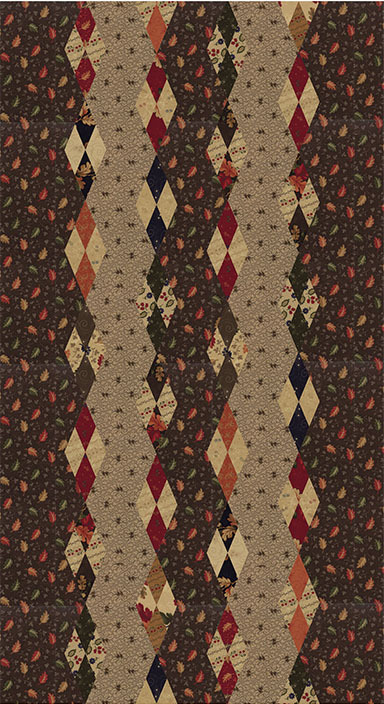 The Acorn Medley charm pattern is available now. 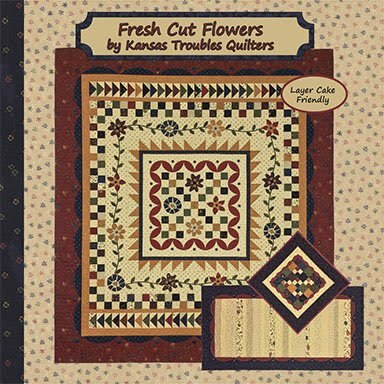 We'll have precut applique packs soon! 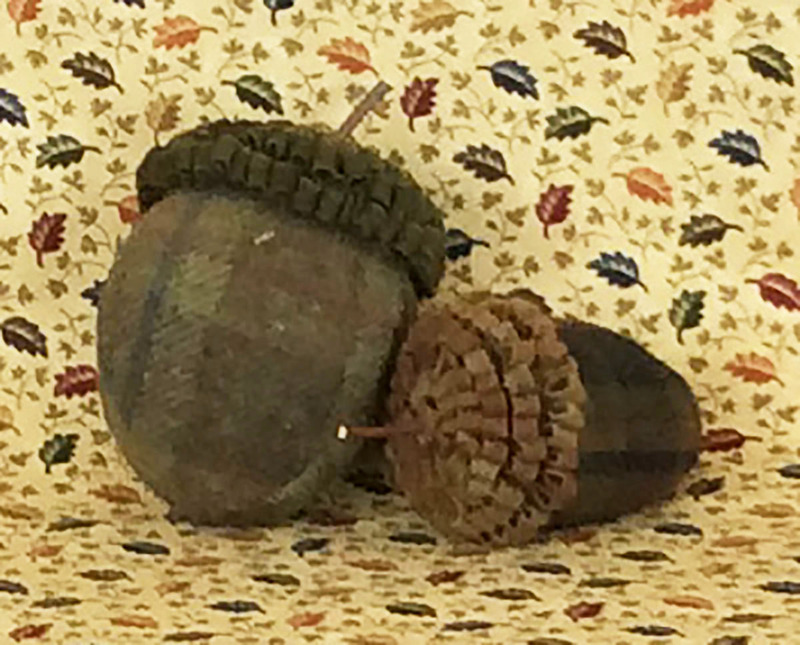 Comment this week to win our Acorn Medley charm pattern and charm pack. 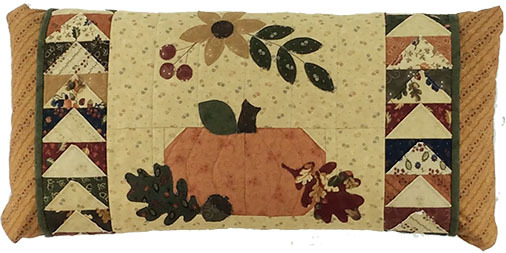 You'll have a good start on your fall decorating. Renea - My favorite season is Fall. 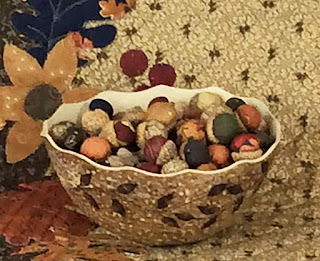 I love to decorate the whole house with the colors of Fall. 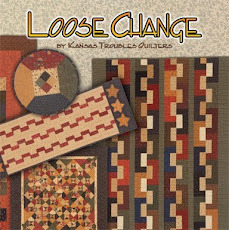 This booklet would be of great inspiration to my decorating. Thanks for the great giveaway. Stay tuned all month for more great fall projects! 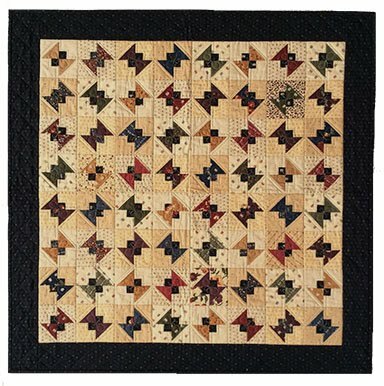 Robert and I are visiting the Orange Grove Quilt Guild in Garden Grove, CA this week sharing a trunk show Tuesday morning at their guild meeting. 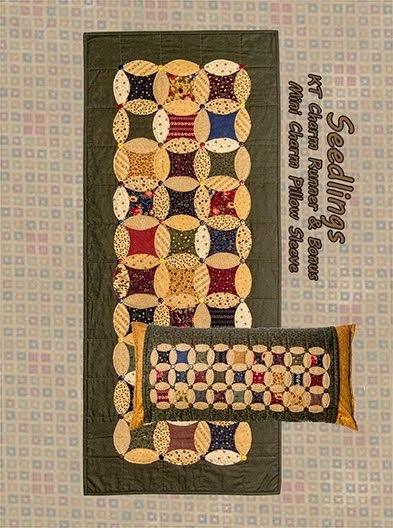 On Wednesday, I'll be teaching a Clara's Garden workshop featuring our KT Wedge and layered patchwork. If you're in the area, I'd love to meet you! 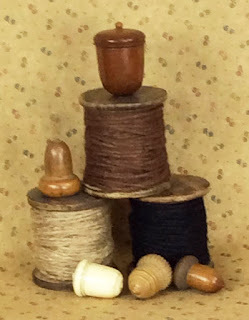 For more info, call Christi 562-243-1675 or Susan 714-235-2462 (workshop). We're taking a couple of days to enjoy the beach, our last break before market frenzy begins. 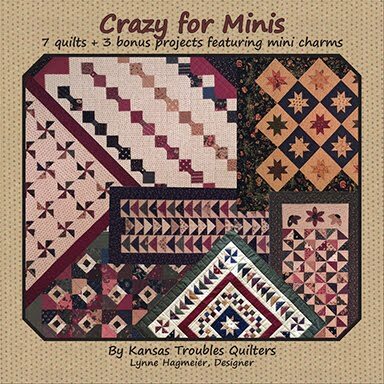 We'll fly home to visit the Missouri River Quilt Guild in Jefferson City, MO on Tuesday, September 20th.Christa has all the details at johnchrista.george.gmail.com. Join us! Twisted Workshop, September 20th - So adorable in brights! 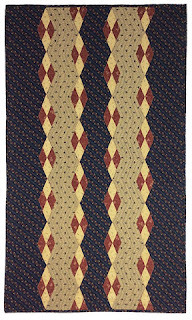 Don't you just love a warm & cozy pair of argyle sox in winter? My husband, Robert, has a couple pair of alpaca sox he calls his "happy sox" because they keep his feet so warm it makes him smile. :) I played with my new KT Diamond Templates and figured out a way to make a striking argyle pattern easily. 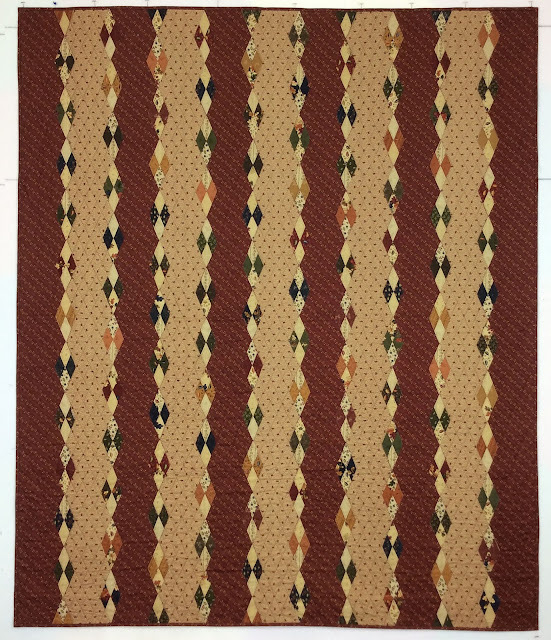 Our strippy quilt is 2 fabrics sewn together, alternating medium/dark prints. I layered/fused 2 small diamonds over a large diamond to create the effect, then simply laid them end-to-end on the seam lines and topstitched. So fast & easy! 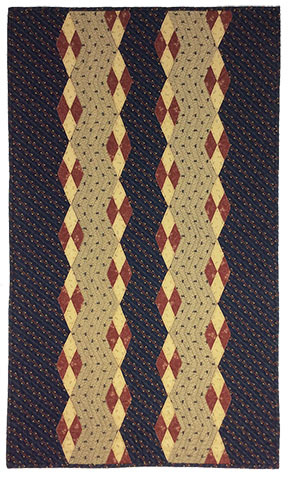 I can see this done up in school colors for cuddling in the stands at football games or a dorm room. What colors would you choose? 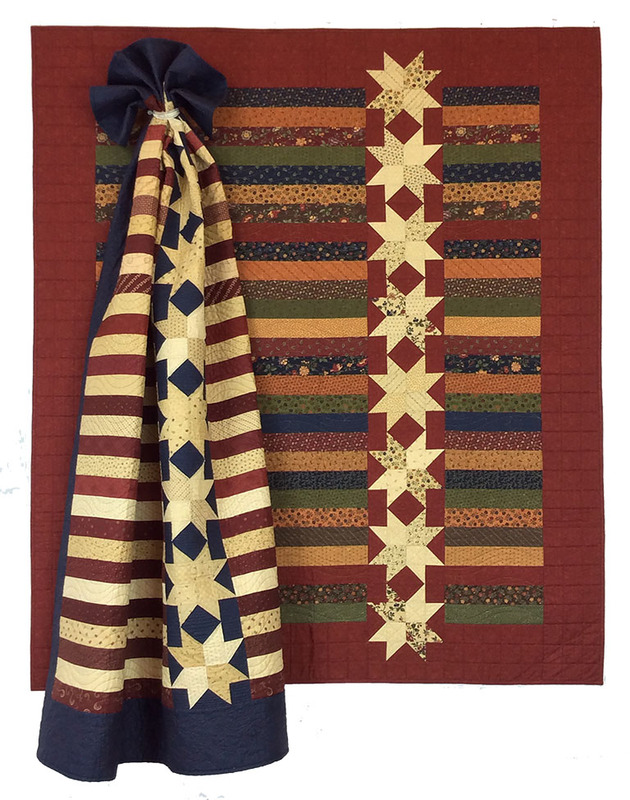 I love the 4th of July and try to make a new red/tan/blue project each year. This runner lived on my kitchen table all summer as a great backdrop for my holiday decor without competing for attention. 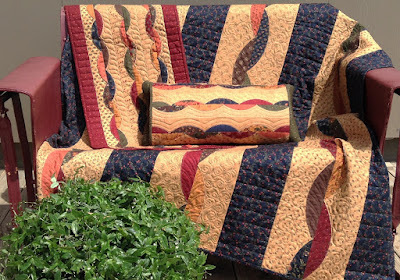 I can't wait to finish my fall version with leftover JR strips and rich chocolate browns. Here's the computer generated version. 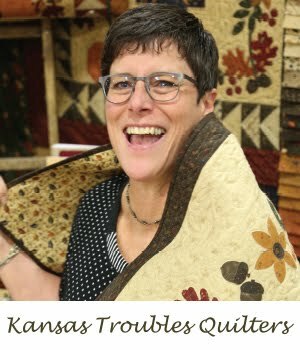 Both of these projects are found in our new Oak Haven booklet (click here), available now at ktquilts.com. 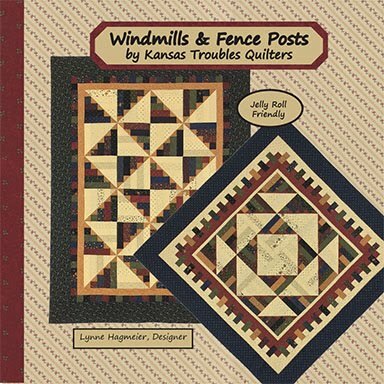 Win our set of KT Diamond Templates to make these projects by commenting on your favorite team colors. 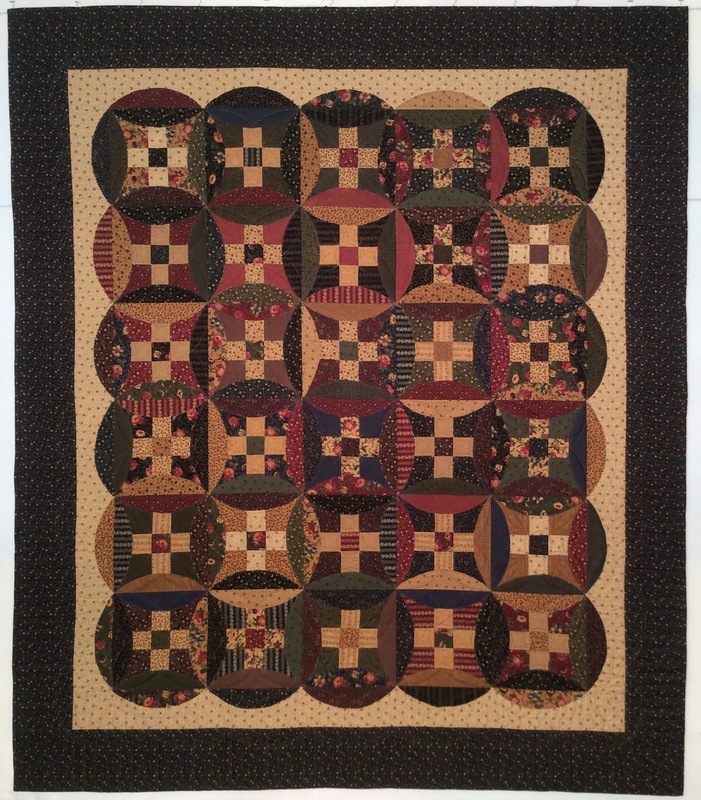 More Oak Haven quilts to come next week! Maribeth Cleveland - I love Sweet As Honey and need some Oak Haven because I live near Raleigh NC which is nicknamed City of Oaks. You're the winner of our September Special Honeycomb Combo. Hope you enjoy making something sweet! If you didn't win this amazing bundle of Honeycomb delights, it's not too late to order. 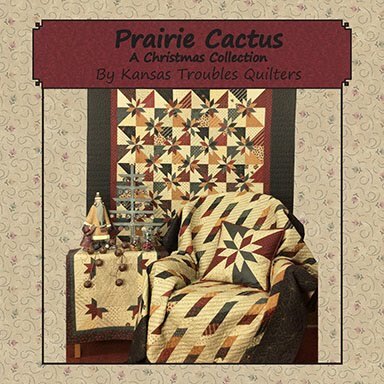 Check it out at ktquilts.com. 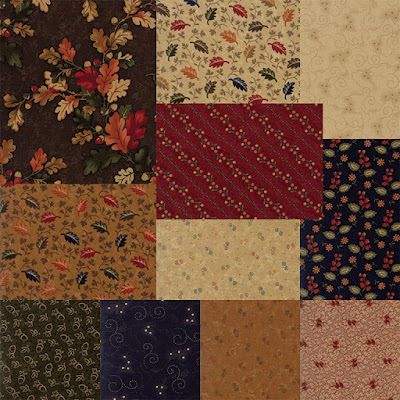 I'm thrilled to share my latest fall fabric collection, Oak Haven. 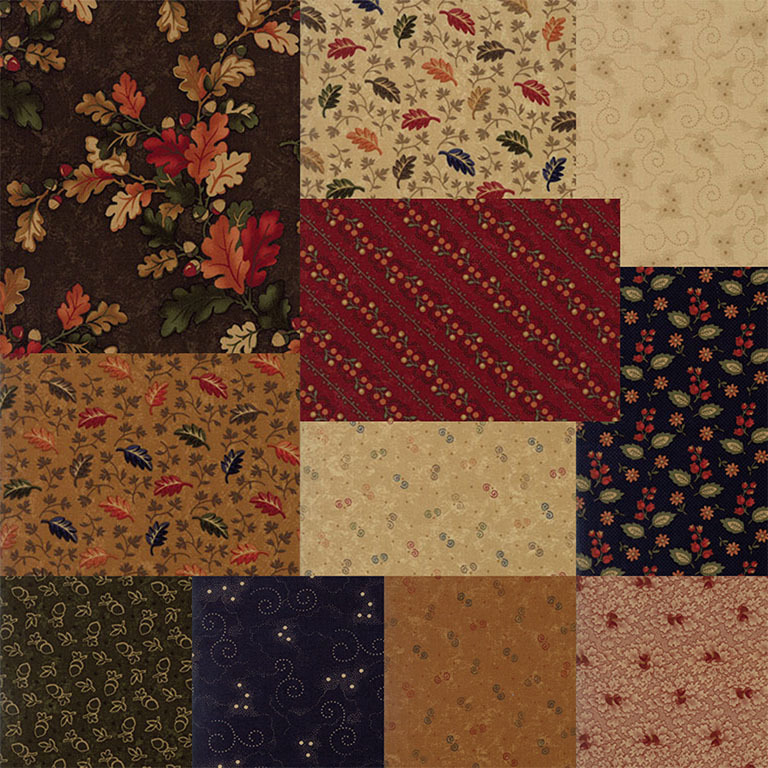 The prints are great for autumn themed projects or manly quilts while still blending beautifully with all KT lines. I'm obsessed with the tone-on-tone dots & swirls in every color and the selection of background tans in this line. Our tans are a little brighter, the darks are a little richer. Life is good. 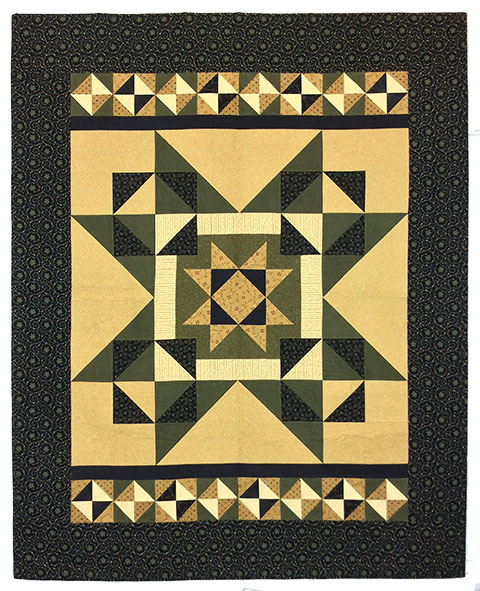 The featured project for this collection is our Oak Haven lap quilt. 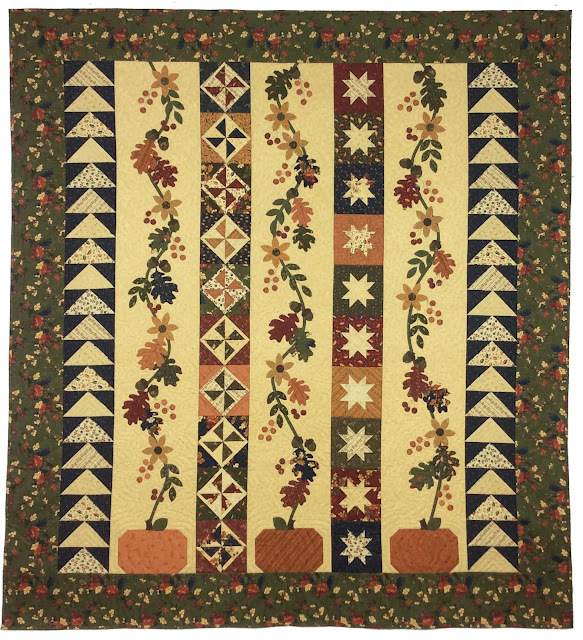 Rows of appliqued oak leaves, acorns, flowers and berries are bordered by layered patchwork rows of framed pinwheels, stars and flying geese. 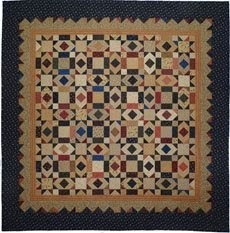 A Layer Cake offers the variety for the blocks and appliques. 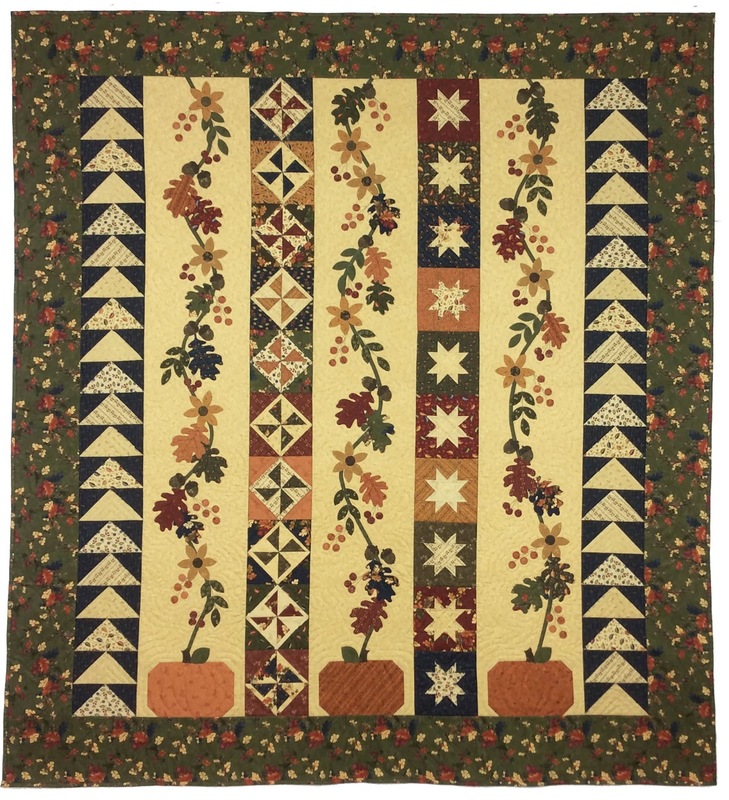 I chose navy as the background for the flying geese with the green leaf print outer border, but a red/brown combo would be warm and cozy, too. If you hadn't noticed, there's alot of applique on my Oak Haven projects. I loved the leaf motif in the large print so just went for it! 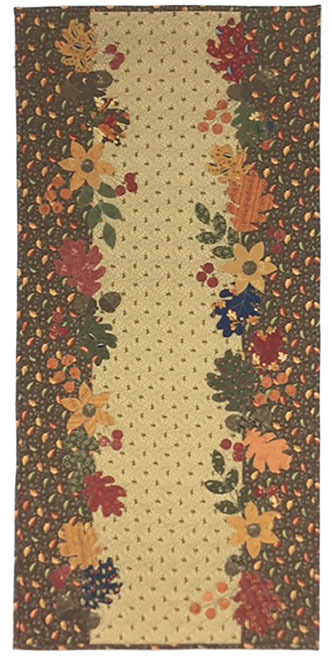 We'll have precut fusible appliques in kits for the lap quilt and a couple more projects soon! What a time saver (and thumb saver!). 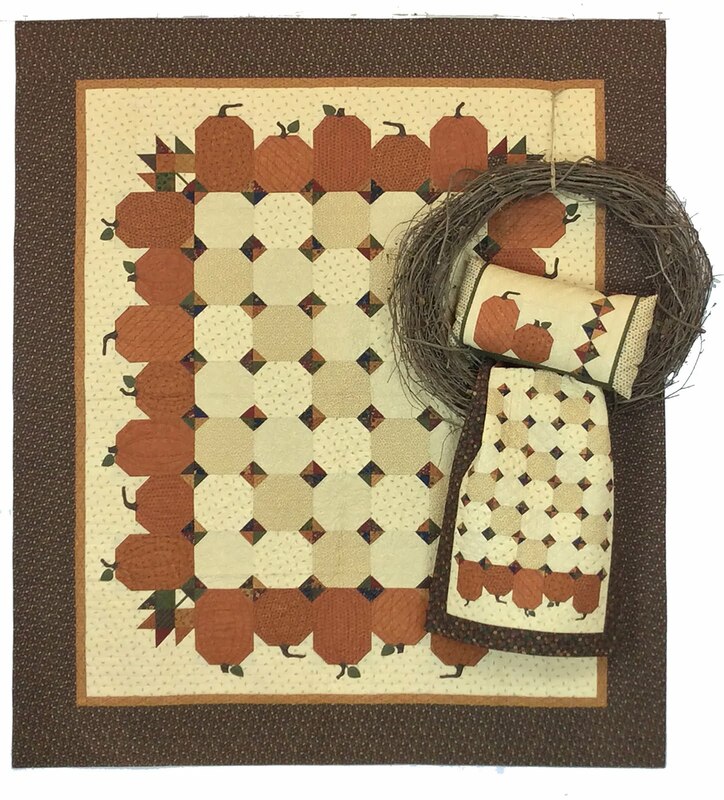 Oak Haven Lap Quilt 66"x72"
Here's a look at the Oak Haven Runner using a charm pack plus pumpkin, tan and brown. 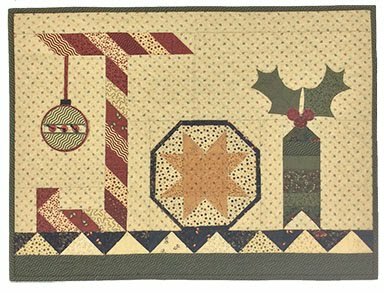 So fast with our precut applique packs. 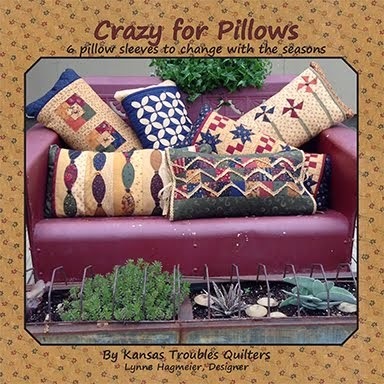 You know by now I love my interchangeable pillow sleeves, and this one is no exception. 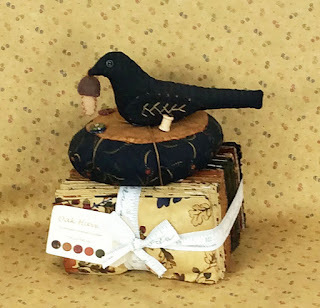 A charm pack provides the scrappiness, while my simple flying geese frame it perfectly. 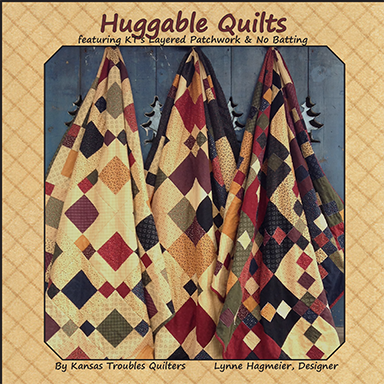 A must have coordinate for the lap quilt. There are several other projects in the Oak Haven booklet I'll be sharing in the next few weeks.